The Zimbabwe National Road Administration (Zinara) and National Oil Infrastructure Company of Zimbabwe (NOIC) were using personal bank accounts for employees outside Harare to administer cash transactions for their entities, thereby exposing their funds to abuse, an audit has shown. In her financial year ending December 31, 2017 audit report, Auditor-General Ms Mildred Chiri said there were 21 State entities failing to uphold good corporate governance and thereby failing to provide services sustainably. "I also noted weak internal controls over cash and banking," said Ms Chiri in her report that has been tabled before Parliament. "NOIC Feruka depot was using the assistant depot manager's personal bank account for administering cash transactions for the company. "The same obtained for Zinara which was disbursing cash to provinces through employees personal bank accounts. In addition, there was no laid down policy or procedure to cover this arrangement. I also noted that there was no evidence of approval by the head of station on the petty cash voucher. "The petty cash voucher was only signed by the accounts clerk. There is risk of loss through misappropriation of funds." 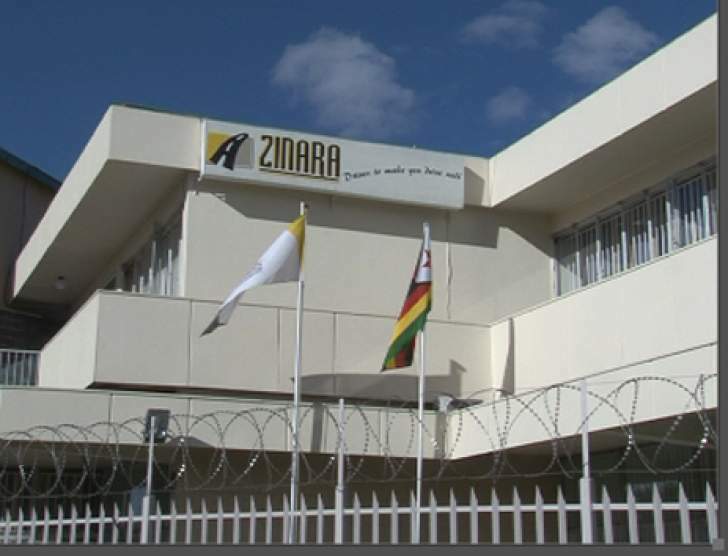 In response to audit observations, Zinara management admitted that they were not using official bank accounts, but said it was done as a temporary measure to allow the smooth flow of operations at provincial offices. "The organisation is in liaison with its bankers so that ATM cards are adopted for petty cash on corporate accounts to eliminate the observed risk," said the Zinara officials. "However, the risk of losing funds is minimal as the administration can deduct any outstanding acquittals on payroll." Ms Chiri said while there had been a general improvement on corporate governance, some extreme cases of weak corporate governance practices were noted. "My audit revealed entities which are facing challenges in providing services sustainably," she said. "I reported 23 of such cases and these include Zesa Holdings and its subsidiaries, Grain Marketing Board, National Railways of Zimbabwe, Air Zimbabwe, Allied Timbers, Zimparks, among others." On Civil Aviation Authority of Zimbabwe, it was noted that it paid about $500 000 for furniture to a company that eventually failed to deliver. "Whilst the full contract amount was paid, furniture to the value of $28 614 had been delivered, leaving an outstanding balance of $391 063. This has been outstanding since 2016," said Ms Chiri. It was also noted that some State entities were pampering their board members with expensive cell-phones and laptops without the approval of their parent ministries. Turning to the Zimbabwe Human Rights Commission, it was noted that there was no declarations of commissioners' interests on file as required by the enabling Act of Parliament. "Furthermore, I noted that declaration of interest register was not being maintained for those involved in procurement," said Ms Chiri. "There is risk of financial loss arising from impaired objectivity and conflict of interest."